Casa Del Mar Deluxe Room. 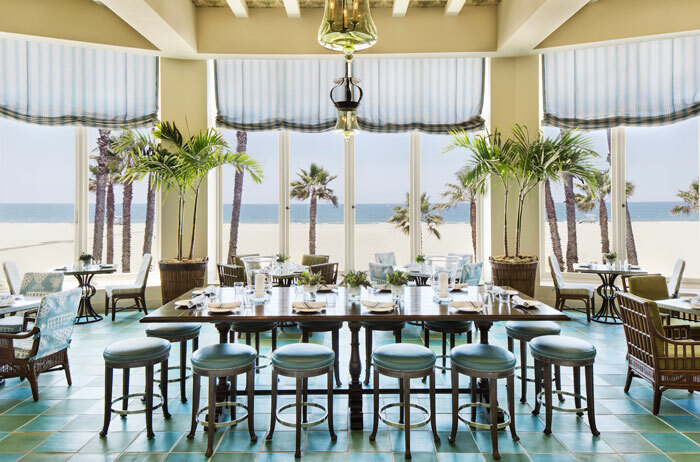 Casa del Mar feels transported from the Mediterranean – a world away in breezy, Santa Monica. The hotel, once a private beach club during the 1920s features grand views of the Pacific ocean, a stunning pool, immaculate tile flooring and grand lobby with soaring ceilings and a soft blue colour scheme. Every day, from inside our large 400 square foot premier ocean view room, we are greeted by ombre pink, orange and blue sunrises and sunsets bathing the Santa Monica pier and endless sandy beach. 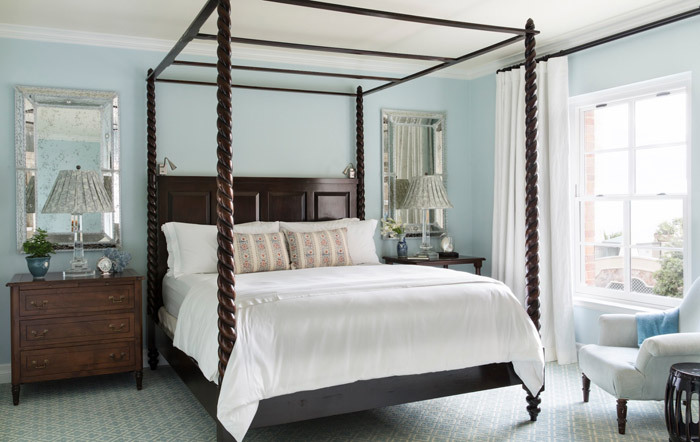 Complete with a dark wood four poster king size bed, and calming white Italian marble bathroom with hydrothermal massage tub, this room epitomized laid back California luxury. Casa Del Mar Terrazza restaurant. Superstars, models and movie stars regularly stay at this hotel (on our visit, we spotted a large retinue in several SUVs) so expect discreet service. For dining, Catch restaurant offers a gleaming array of freshly caught seafood elegantly displayed on ice and in glass cases. Italian Executive Chef Alberico Nunziata and his culinary team boast some of the freshest seafood in Los Angeles, simply prepared. 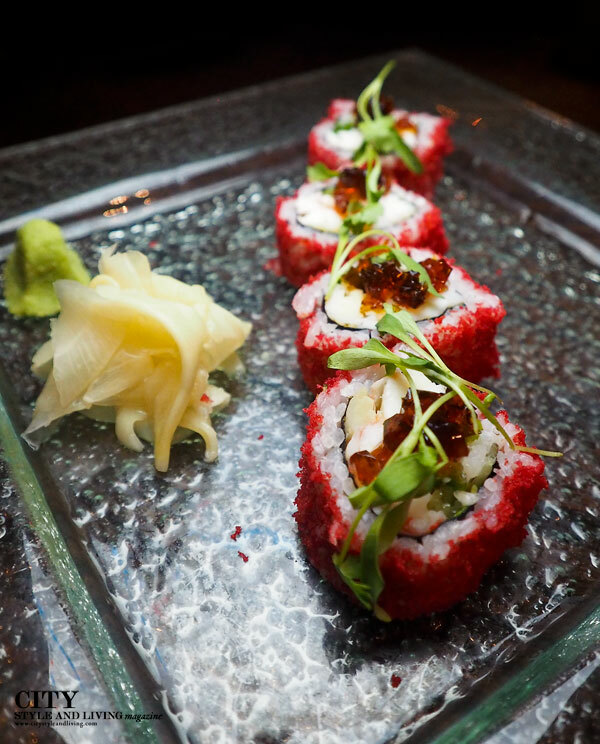 We recommend the beautiful crispy King Crab Roll from the full sushi station. While, a hearty breakfast at Terrazza (order the eggs florentine and peanut butter smoothie), sets us up for a day of sightseeing. Read more about the hotels from CSL’s roadtrip to California. The original article first appeared in the Spring 2016 issue of City Style and Living Magazine.